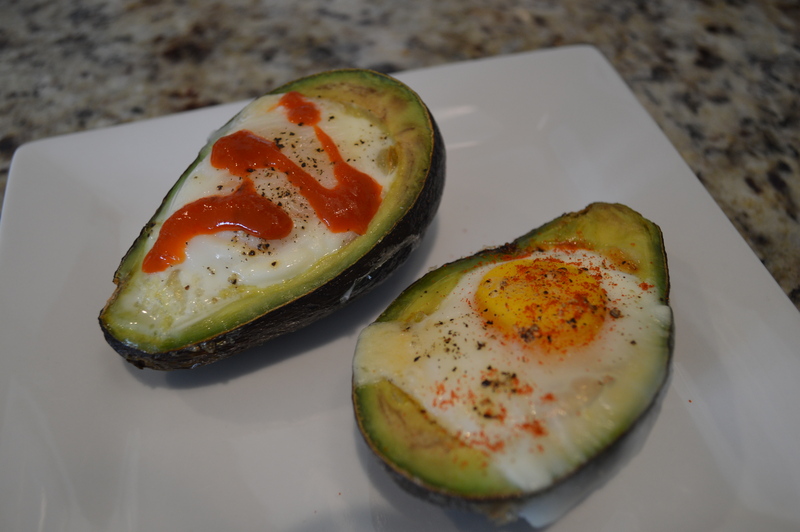 Egg Series Day 5: Colorful Eggs and Baked Eggs in an Avocado | Bloom. The first thing I noticed about our backyard eggs after the chickens started laying last October was how different the yolks were in comparison to the commercial eggs I grew up with. 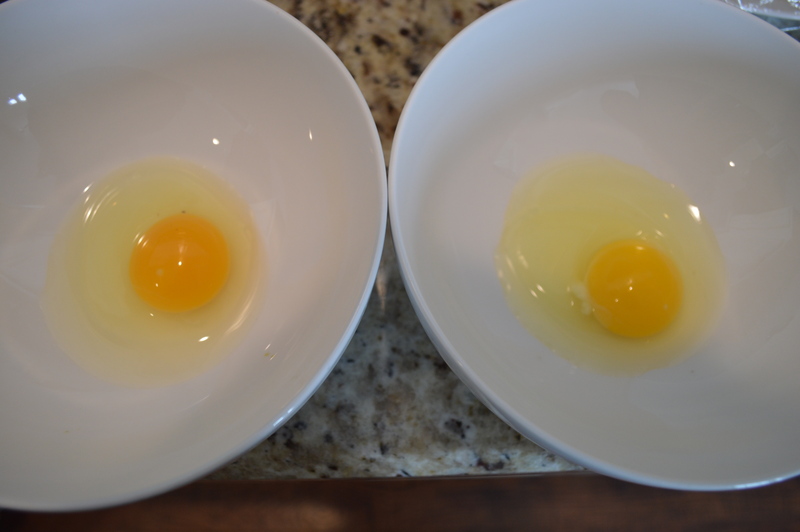 The yolk in our hen’s eggs is an incredibly vibrant golden yellow. Our egg is on the left. Our fresh egg, holding it’s shape. A grocery store egg. 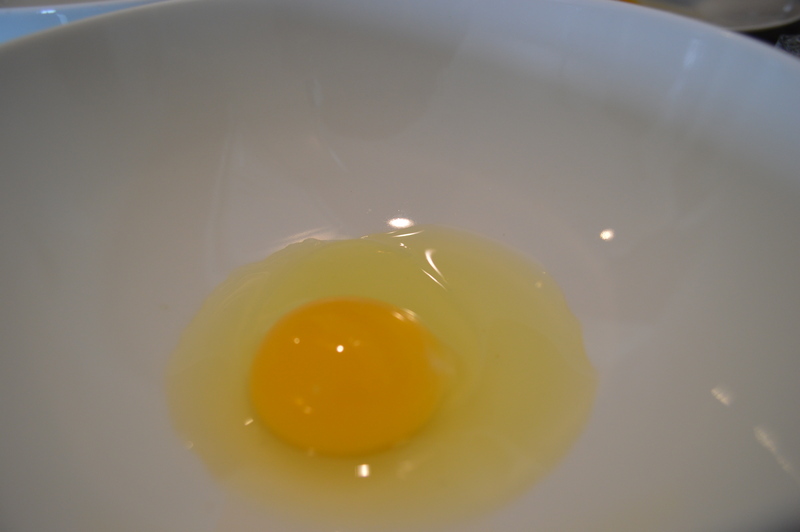 The color is faint and the yolk’s shape is weak. They also hold their shape much better than grocery store egg’s yolks. 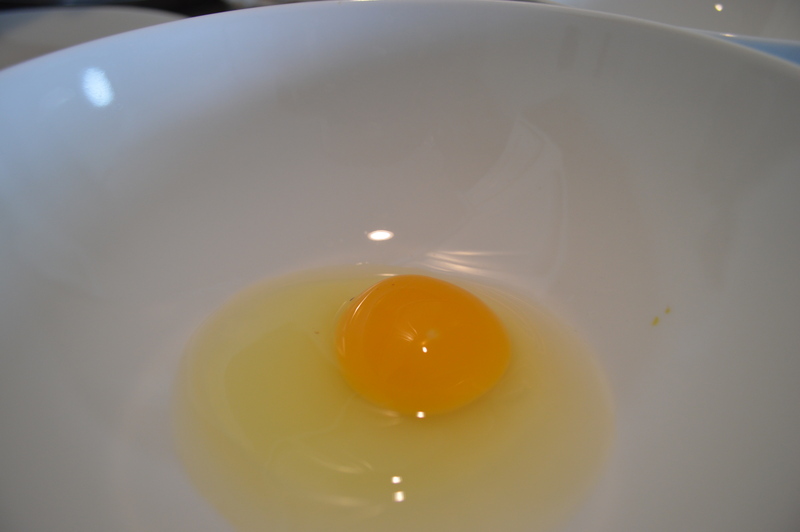 The color in the yolks is based on the chicken’s diet. Some plants have stronger natural pigments creating the bright orange colors in our pasture raised eggs. Hens that produce eggs for commercial use do not have access to plants with these color creating pigments, but producers sometimes will add things like marigold petals to their feed to enhance the yolks colors. Our hens produce brown eggs. The color of the eggs is based on the breed of the chicken. There are actually hundreds of chicken breeds all over the world and they create eggs with a wide, wide range of colors. Blue, green, grey, pink… and more! There is no change in the taste of the egg based on the color of the shell. However, I have found that there is a taste difference between fresh eggs and commercial eggs. It’s a hard taste to explain, but there is much more flavor, texture and chew to a fresh egg making it incredibly tasty! In November, I started a new job where I travel to college campuses often, but when I am not traveling I work out of my home. I love that I have been able to ditch my daily sixty mile commute and don’t have to wear makeup everyday, but I think my favorite thing about working from home is being at home for lunch. It lets me make smart food choices… and save a couple bucks! This is one of my favorite quick lunches to make at home, but it could be a great breakfast or even a big snack. 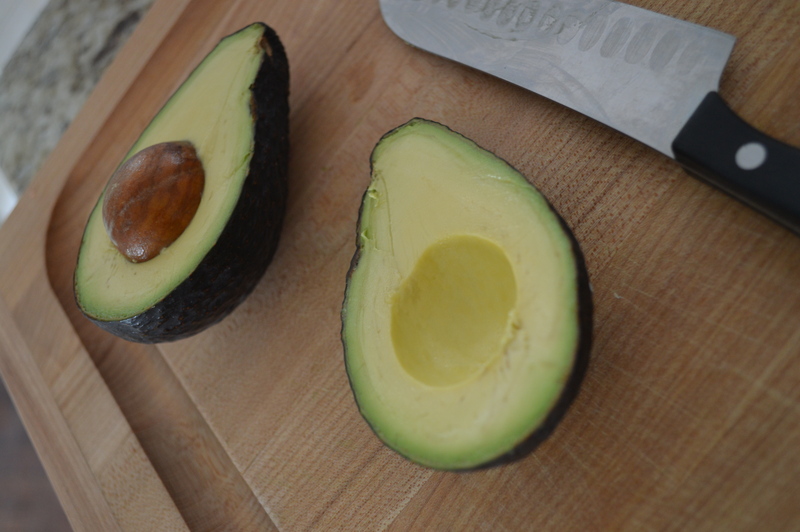 Slice avocado in half, scoop out the pit and a bit of the meat to make room for the egg. 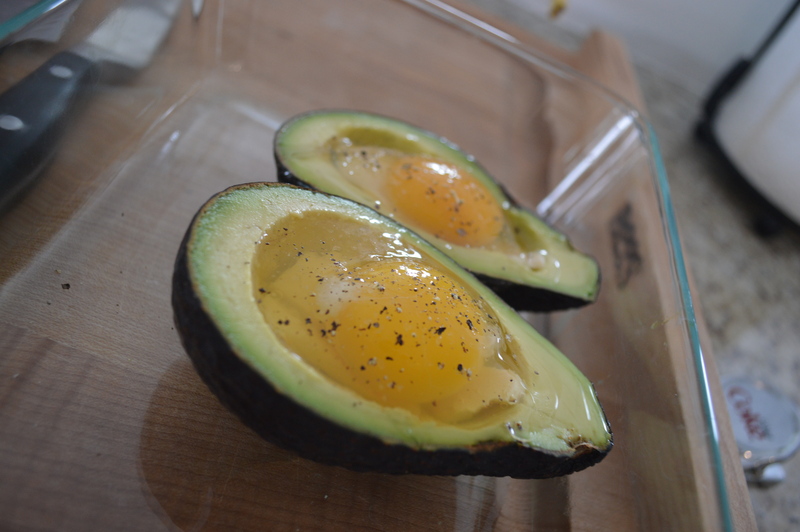 This bit of avocado can top the eggs after it’s all cooked. 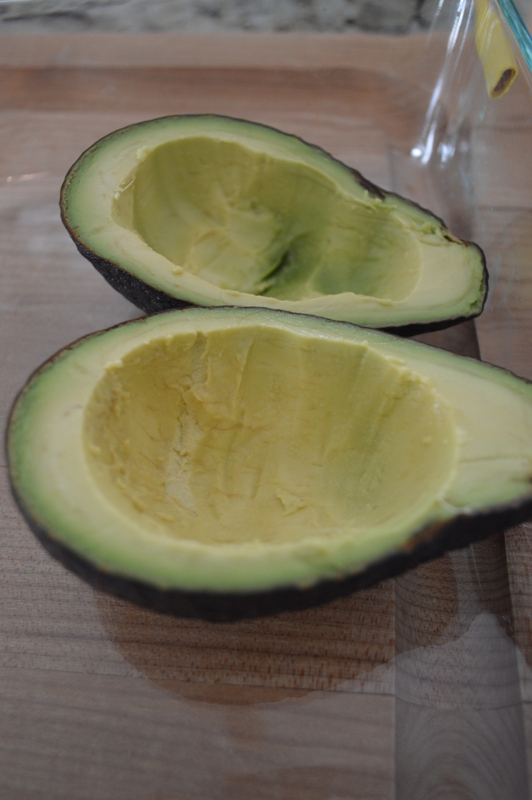 Place avocado halves into a baking dish so they are level and secure. 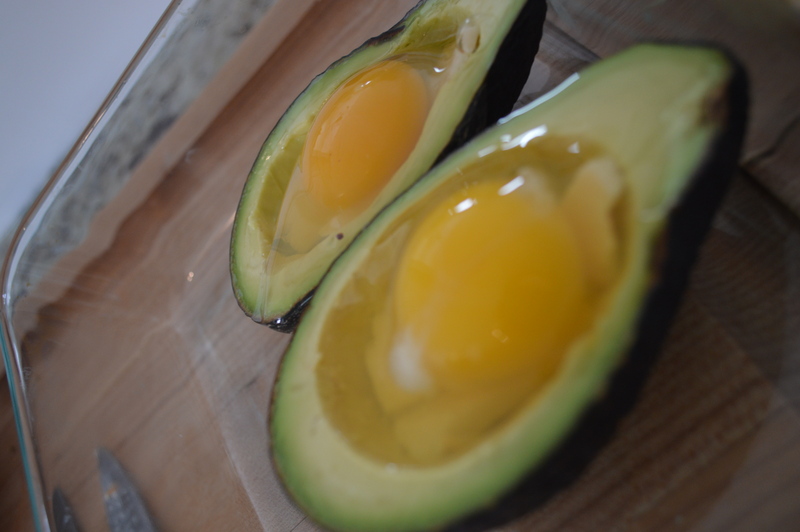 Pour an egg into each avocado. Cook for twenty five minutes. I topped on avocado with paprika and the other with srrachia, experimenting with different flavors. I liked the paprika best. Parmesan cheese has been a topping I have tried and liked in the past. Yes, I have been posting all the other Egg Series posts around the middle of the day. This is because I have proofread my writing from the night before as I eat lunch. But, today was one of those days where I was traveling for work and got to spend much of the day at my alma mater. I have done work on the campus for years, which I do love because I love the university and the people affiliated with it… but, because I am there so often I sometimes wonder about what it would be like to drive up to campus and have it feel different or special. The feeling I am envious that my girlfriends, who make it back once every other year, feel. My home, my favorite place in the world, saw evil this week. It has been bruised and its people have been exposed to the cruelty that is in this world. But also today, as I drove the streets I could drive in my sleep, I saw what makes my university special. 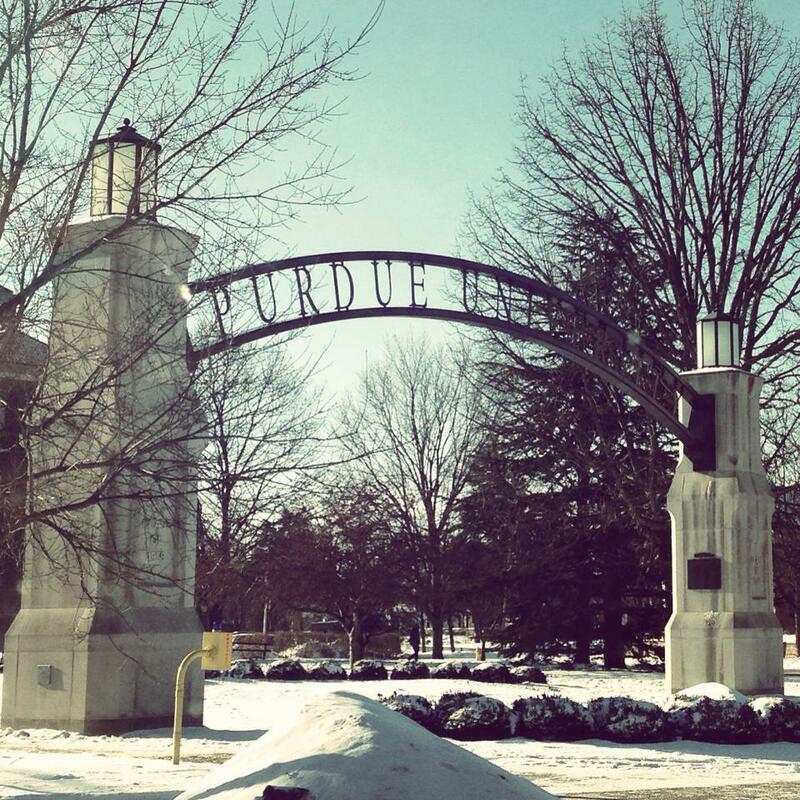 Despite everything that happened on Tuesday, Purdue University is strong. And in that sense, nothing has changed. Thanks, Jamie! I was on your blog yesterday and it looks so good! Your photography is great.